Say “Yes to Life” – no matter what! The easiest response to Life, when things don’t go well, is to turn grumpy and be depressed. But feeling that way is not going to get you anywhere. 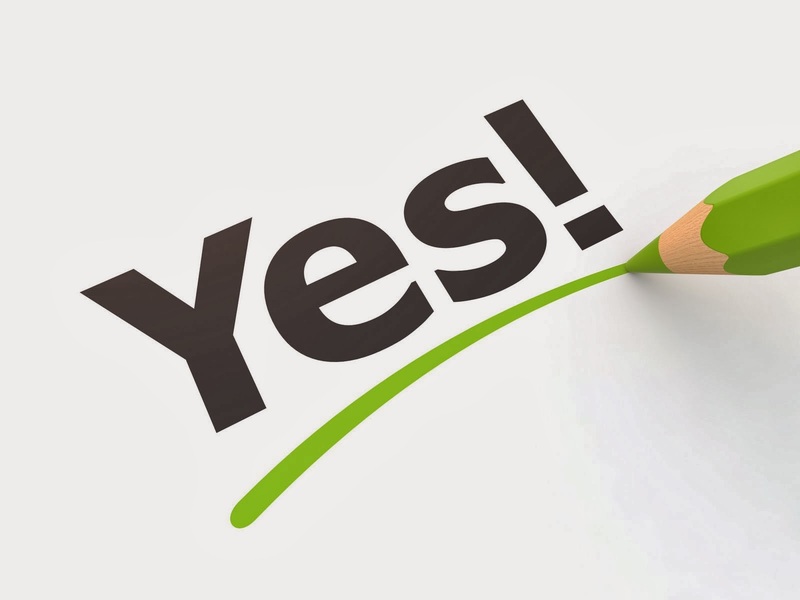 The only way to respond to Life is to say “YES” to it – no matter what your circumstances may be! I was thinking about a couple, close friends of our family, last evening. Their first born, a boy, would be 17 now. They live in Singapore. The boy was afflicted by muscular dystrophy (MD) – a progressively degenerative muscular disorder – when he was barely a few months old. In the case of the boy the disease is severe and for all the complications that come with the condition, he has very little time left. Even so, the couple are the most positive people you can ever meet. They are happy looking after their child and supporting him to live as normal a Life as is possible in these conditions. The wife once told me, “It seemed impossible to accept the reality when the doctors shared the news with us. I don’t think any parent can deal with such a prognosis with regard to his or her child. But over time, I noticed that despite what his limitations were, our boy wanted to do things that all children do. That’s when my husband and I resolved that we are not going to mourn our fate. We are going to live our Life, with our child, helping him live fully too – as long as he can.” I have never seen this couple grieve over their child’s condition. They have always been happy – despite all the challenges that come with raising a child having MD. The immediate response to Life’s challenges is a big “NO”. But saying “NO” to Life is pointless. Because it changes nothing. Viktor Frankl, an Austrian psychiatrist and Holocaust survivor, in his profound book (published in 1946) “Man’s Search for Meaning” writes, “When a man finds that it is his destiny to suffer, he will have to accept his suffering as his task; his single and unique task. He will have to acknowledge the fact that even in suffering he is unique and alone in the Universe. No one can relieve him of his suffering or suffer in his place. His unique opportunity lies in the way in which he bears his burden.” What Frankl says is true. Wishing away Life’s realities, pining that your Life be different or mourning your circumstances get you nowhere. It is always what it is. So, when you are suffering – and you realize that just as no one can alleviate your suffering but you, suffering in a situation cannot change it either – you learn to accept your Life for the way it is. Through such acceptance you seize the opportunity to be happy! That’s what saying “YES” to Life is all about! Author AVIS ViswanathanPosted on January 11, 2014 March 14, 2016 Categories Art of Living, Holocaust, http://schemas.google.com/blogger/2008/kind#post, Inner Peace, Intelligent Living, Man's Search for Meaning, Muscular Dystrophy, Singapore, YesLeave a comment on Say “Yes to Life” – no matter what! To live a Life of meaning, we first have to understand the meaning of Life! Life’s meaning cannot be understood when we are nailed down by negative, debilitating emotions like doubt, anger, jealousy, sorrow and fear. It cannot be understood too when we are held hostage by our ego. It can only be understood when we let go of what cripples us, what worries us and what scares us. Only when we practice detachment__from what holds us and what we hold on to__can we find meaning in Life. Thanks to our conditioning and to our upbringing __ where we are encouraged to start running a race, as soon as we begin to make sense of our world, and are taught that Life’s meaning is to come first, to win, to acquire, to accumulate, to conquer. In this context, by always wanting to win, we don’t realize we have to willy-nilly ‘vanquish’ or ‘deny’ others the opportunity to win. Or when we try but when we don’t win, we end up feeling depressed and despondent. This is when we start searching for meaning in Life. We sometimes seek meaning also when we discover that despite all the winning, all the conquest, all the accumulation, we are still missing something __ the essence of Life, of simply being happy. In summary, the meaning of Life, as I have discovered it__and I am still learning__is to be useful than merely wanting to be successful. It is not that wanting to be or being successful is wrong. But the pursuit of success often blinds us and takes us in the direction of being successful at the cost of others. Whereas, being useful, is what true success is all about. Being useful is the meaning of Life.